As part of the Royal Yacht Association's Youth Sailing Scheme, numerous students have recently received awards based on their sailing achievements with the Somerset Youth and Community Sailing Association (SYSCA) at Durleigh Reservoir. Firstly, Year 8 student David was awarded the stage 1 certificate for learning how to assist with rigging, sailing across winds and learning new knots. 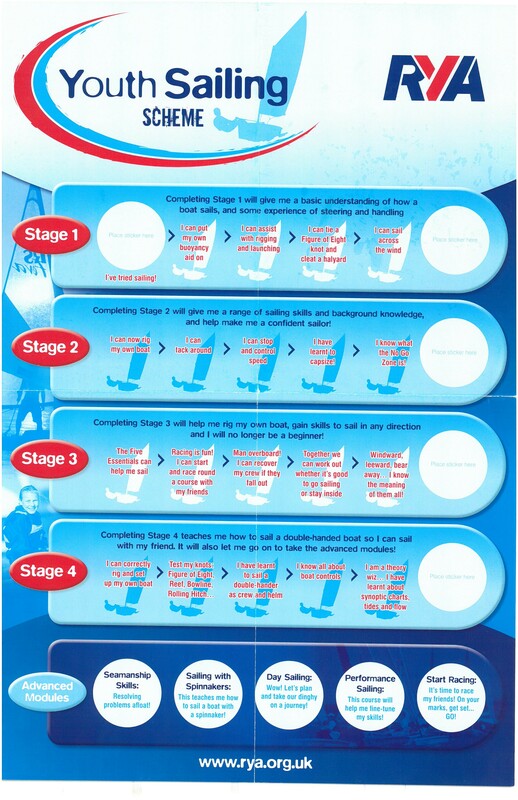 David is also well on his was for stage 2! Lucas and Connor in Year 7 and Matthew and Harrison in Year 9 all received their stage 2 awards which involved rigging their own boats, learning how to capsize and practicing speed control. Keen sailor Ed (Year 9) furthered his skills and knowledge by taking on the challenge of racing and recovering crew members, as part of his stage 3 award. Furthermore, Year 11 student Megan achieved an advanced module in Seamanship Skills, which gained her spot on the SYCSA shield as Outstanding Achiever for 2018. Well done to all of these young achievers, we wish everyone the best of luck with their sailing success in the future!